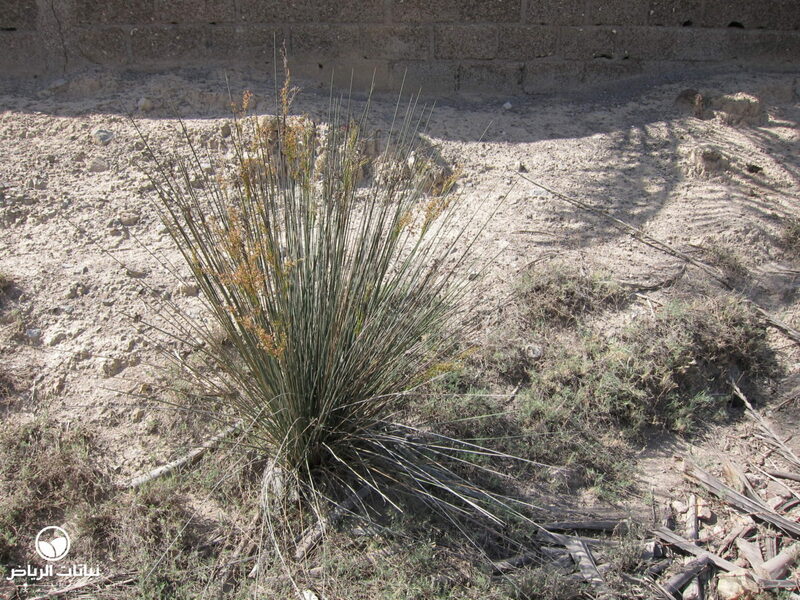 This is a dense, perennial rush, known in Arabic as sammar or nammas, which grows in tufts on saline ground in many parts of the Kingdom. These rushes are distributed throughout many parts of Europe, Africa and the Middle East. Their habitats are salt marshes, poorly drained soils around water runoffs and permanently wet depressions, as well as the margins of watercourses and drainage channels. 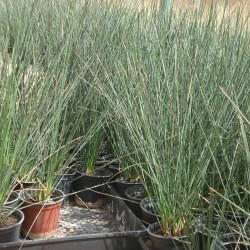 They grow to a height of 1 metre with a creeping rhizome and numerous rigid, slender and pungent stems. The pale-green leaves are sharply pointed, and mostly parallel. 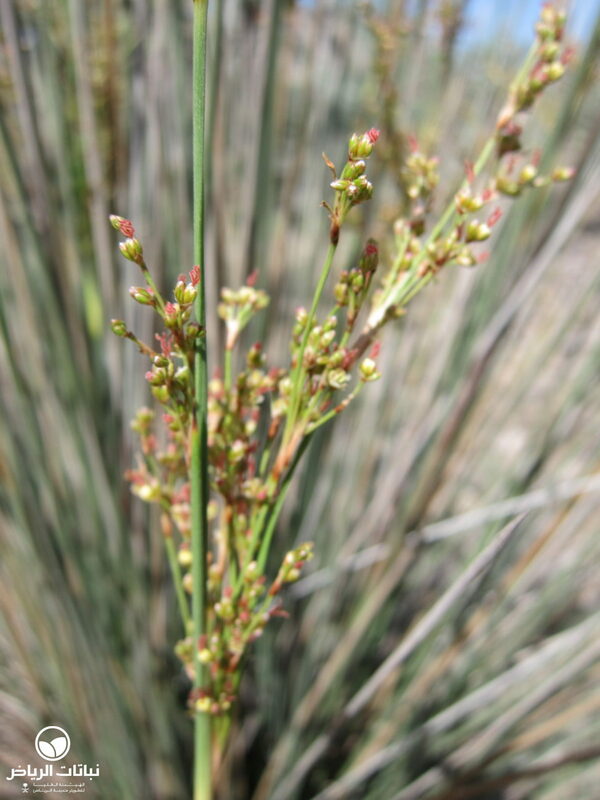 Panicles of numerous, small, beige flowers up to 20 cm long appear almost throughout the year. 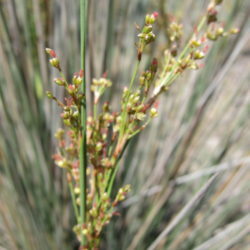 The capsules contain many seeds, which have whitish tails. 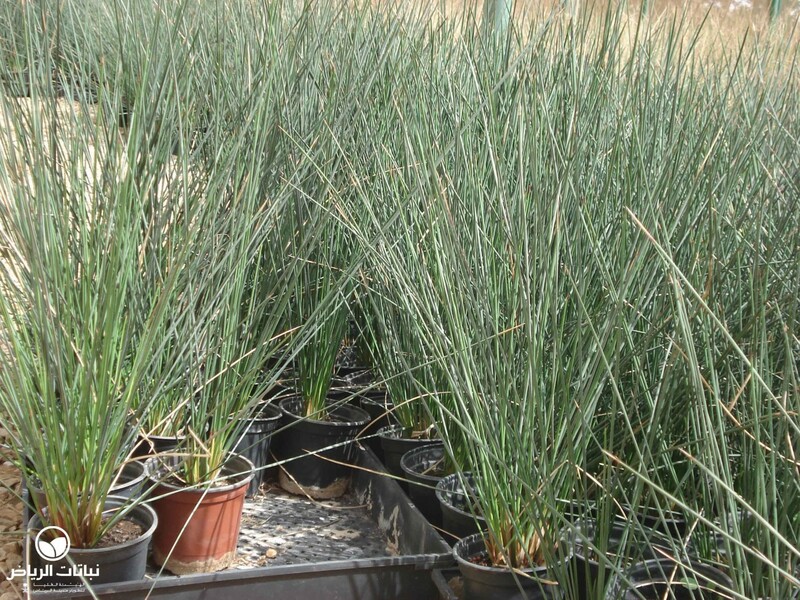 J. rigidus prefers moist, silty soils and has a very high salt tolerance. Propagation is by seed and division. It is used as a material for making mats and is only occasionally grazed, if ever. This rush can be used for landscape purposes in extensive schemes, where the banks of lakes or watercourses need stabilisation. 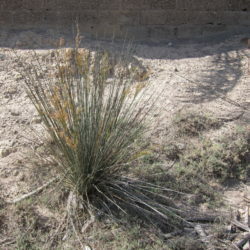 It is a very hardy plant, requiring little maintenance, although care should be taken that it does not become invasive. It is at its best near running water, but dead leaves should be removed when it is used in a garden around a pond.